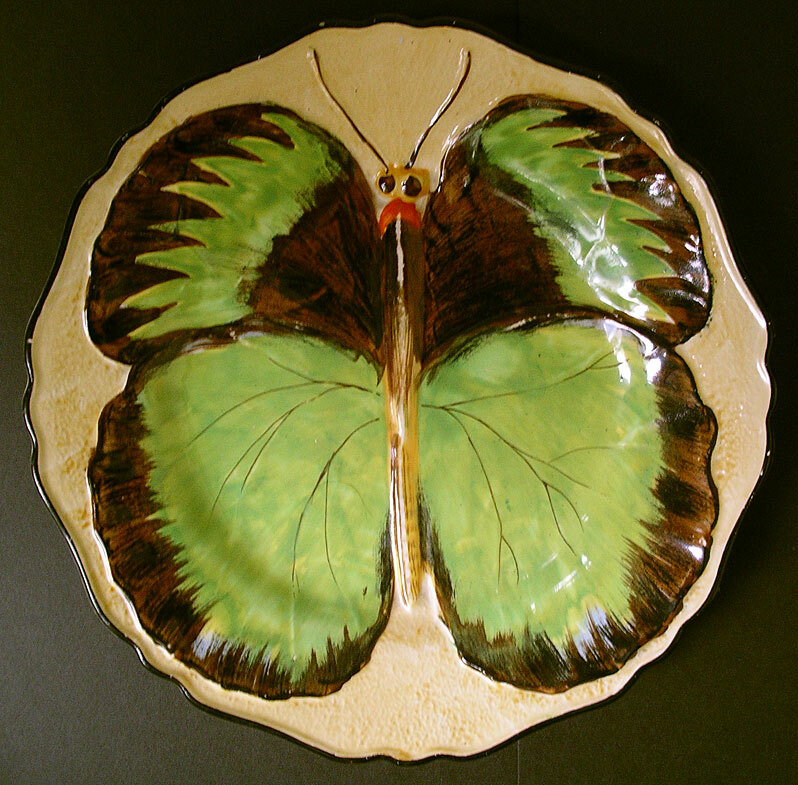 "A striking and original relief moulded and hand painted art deco wall plate made by Hancocks. A super, colourful art deco design ideal for that pretty deco dresser space, display niche or wall. It dates from the 1930s Clarice Cliff period of Staffordshire art deco pottery production. Enjoy! " Antiques Expert Hamilton Bear. References: The Staffordshire firm of Sampson Hancock and Sons made a range of good quality decorative hand painted and designer art deco wares at their Corona Pottery works Hanley from 1923 until 1937 when the factory closed. Dimensions: width 217 mm max. 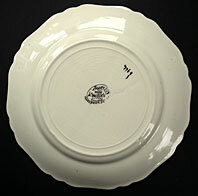 Marks: "Hancock's Ivory Ware" backstamp as illustrated. Condition: There is a small chip to the rim and associated hairline (illustrated) and patches of typical age-crazing to the glaze. Enamel decoration is bright and fresh. Note the relief 'spine' of the butterfly has been left unpainted white for effect.